Oakland County's Best Roofing and Gutter Professionals! At Bloomfield Construction, we pride ourselves on offering the best possible service at competitive industry pricing. By utilizing today’s technologies, our teams are able to boost productivity, save time, and ultimately save customers money. For example, our use of tablets and many innovative apps enable us to stay ahead of our competition — many of whom stick with traditional, expensive home repair techniques. In addition, computer-assisted scheduling helps us track our on-the-job costs, making estimates more accurate with less guess work involved. Such “real world” estimating means that our roofers/installers don’t cut corners to stay on budget. This is essential for assuring quality work on each home. Further, our constant use of digital photos at each stage of the job aid in making accurate proposals and efficient job documentation of the entire process. Each innovation helps us save time while allowing us to build extreme quality and customer loyalty into every completed project. Michigan's most reliable and trusted gutter company since 1997. We have completed over 40,000 projects in Southeast Michigan. Jeff Laurie Sr., Founder of Great Lakes Gutter, started Great Lakes Gutter in 1997. As a seasoned, licensed builder in Michigan for over 30 years, Jeff's philosophy is to "work on every home like it's my own." 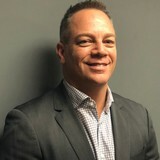 That's why the foundation of Great Lakes Gutter is built on Jeff’s sincere commitment to provide homeowners with only the best materials and quality workmanship. Great Lakes Gutter has 20 full-time employees and no subcontractors. Today Jeff operates the company with his children, John and Jessica, his wife, Cyndi and his nephew, Johnny. We are in the business to provide you with real world, common sense solutions and answers to your home improvement problems. With over 30 years in business, you can be confident with the recommendation of the product(s) and system installation(s) we have chosen for the safety and security of your home. We have done the homework for you. And just as important is the beauty of your home with the product(s) we showcase and recommend. You can even envision your home with different options in our Design Center so you can make an informed and confident decision. Your home. Your design. Your choice. As a family-owned business, Tittle Brothers Construction is dedicated to serving other families by creating comfortable, safe and valuable home environments. We do this by providing the highest level of customer service, treating all customers with respect, dignity and honesty. We are committed to using only quality materials and products in our projects to ensure lasting value. Our people are continually training on new products and construction methods so that we can provide the very best service to our customers. We are also committed to giving back to our community by participating in social and civic organizations and events that benefit our neighbors. DK Roofing Solutions is licensed and insured as a professional roofing company specializing in new, tear off, re-roof, and replacement services. In order for the owner of the company to ensure efficient and outstanding results, he oversees and approves every job completely. We have an experienced staff providing roofing contractor services to residential and commercial buildings in Michigan, specializing in new roofing, tear off, re-roof, and replacement roofing services. We specialize in all phases of the roofing process; from roof repair to reroofing, from maintenance programs to complete roof overhauls. We are an established company with wide ranging capabilities, large enough to meet the demands of today's sophisticated roofing requirements. Professional roofing company serving Ann Arbor, MI and the surrounding areas for over 50 years. Roof-Rite is the best roofing company to use for roof repair, replacement or new roofing jobs in Oakland County and Southwest Michigan. We provide expert installation and superior products. There is no hard sell, and we offer FREE roofing estimates. Award wining, certified by manufacturers, and an A+ with the Better Business Bureau. Pro Home Improvement has been offering Michigan and the Detroit Metro area unparalleled expertise, integrity and customer service since 2006. 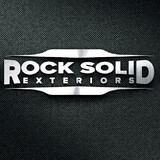 We will use the best materials and products to make your home beautiful and reliable for decades to come. Our fields of expertise span roofing, siding, windows, gutters and insulation, which are all paramount in ensuring your home is weather resistant through freezing winter snow, intense summer heat, and torrential autumn and spring showers. Contact us today at 888-PRO-1998 (888-776-1998) for a free estimate from one of our experienced and friendly staff. We have been family owned and operated for over 20 years. Our belief is that "It takes more than shingles to make a roof." We have our own employees, no sub-contractors. We're 1 of 7 contractors in Michigan who has been awarded GAF's highest honor, President's Club from 2012-2016. We strive for high quality along with complete customer satisfaction. We look forward to providing you our honest opinion on your repair or replacement project. Dexter Roof is a complete residential roofing and siding services company, located in Dexter, Michigan. We pride ourselves in providing excellent customer service; we will take the time to educate you about the wide range of choices available for your projects. Each project is tailored to your specific needs. Our crew has over 20 years experience in the roofing and siding field and are proud of our achievements and level of success. We know that the only measure of our success is the satisfaction of our customers. We are committed and determined to provide our customers with quality work, while promoting an honest and reliable service. Our customers can feel secure and be confident in choosing Dexter Roof to protect their valuable investment. It would be our pleasure to provide you with a reference list of customers in your area and copies of our insurance and licenses, so that you too can be assured that Dexter Roof is the best possible choice. Dexter Roof is the best choice for your exterior home projects. Our 10 year extended warranties for labor and materials, along with the manufacturer’s warranty, are evidence of our commitment to our customers. 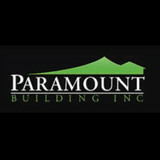 Paramount Building is dedicated to delivering outstanding quality at competitive prices. Our goal is to create long-term value by building trusting relationships with our customers. At Paramount Building our relationship does not end when your project is completed, it begins. Reach out today to begin your next roofing project! Xtreme Services is the Metro Detroit areas premier Property Restoration company! We strive to get you the service you need on time, every time. Our team of fully licensed, certified and insured professionals will quickly and safely restore your property to like new or better condition Xtreme Services provides a variety of residential and commercial property restoration services. We act quickly and effectively to ensure that each property is secured and maintained consistent with applicable investor/insurer guidelines. Our local network of experienced field service professionals delivers the timely and cost-effective performance you need – on time, every time. Services include Water & Fire Restoration, Roofing, Windows, Siding, Gutters, Painting and Specialty cleaning Services. corrective/maintenance and disaster recovery services designed to optimize property appearance, safety and marketability. We are experts in roofing systems. From roof repair, maintenance and replacement to gutter systems and ventilation, we know roofs. Our team is knowledgeable, friendly and clear about our services, materials and processes. In our effort to be your best choice for all things roofing, we pay attention to the entire roofing system. Call us today! Roofs and gutters are two home elements that, when they do their job, go unnoticed. But when they malfunction, they make their presence known in a hurry — that’s where knowing a good Oak Park roofer comes in handy. Hire the right roofing company in Oak Park, MI to install, repair and maintain your roof and gutters, and you’ll ensure that these essentials perform at their peak. What do roofing companies in Oak Park, MI do? Your Oak Park, MI roofing contractor can install a new roof or repair an old one, as well as repair and replace gutters. Good roofers in Oak Park, MI should be able to promptly inspect roofs and gutters to assess damage after a natural disaster or other event, and give you an estimate for the necessary roof repair immediately. Some Oak Park roofing companies specialize in specific types of roofs, such as tile or metal, so make sure the one you are interested in works with the materials you have or desire. Find an Oak Park roofer on Houzz. Narrow your search in the Professionals section of the website to roofing companies in Oak Park, MI. If you’re planning a large-scale project, find other professionals on Houzz who can help get the job done. Here are some related professionals and vendors to complement the work of roofing & gutters: General Contractors, Specialty Contractors, Siding & Exteriors, Door Sales & Installation, Garage Door Sales & Installation.